This is the story of Anastasia Biefang, lieutenant colonel in the German military, who was assigned male at birth. At the height of her career she decides to finally come out as transgender. Much to her surprise, she does not face any negative consequences in her career in the military. 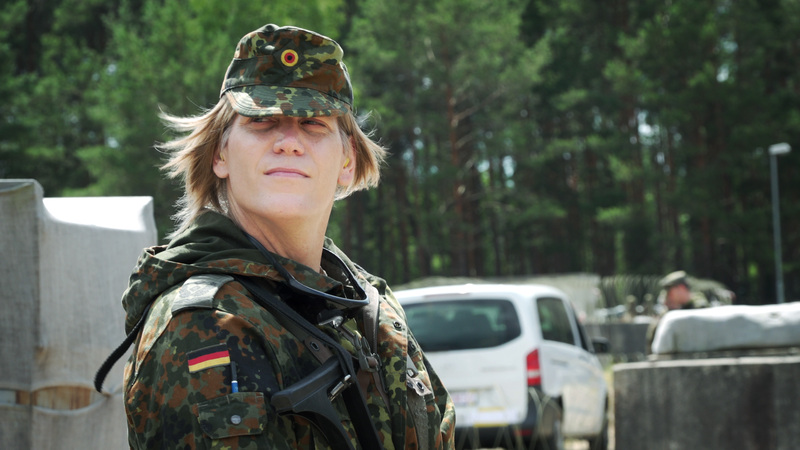 After her transition she becomes the first female commander in the history of the German military, leading a German armed forces´ battalion for cyber and information domain service. The film follows her male to female transition and observes her taking over duties as a commander. Anastasia is not the only one transitioning – her battalion must also face up to changes in their mentality. Thomas Ladenburger was born in 1975 and studied at the San Francisco Art Institute, the Kassel Art Institute, and at the University of Arts (UdK) in Berlin. Active as a cameraman, instructor and documentary filmmaker, his films include: the shorts TRANCE UND SCHLANGEN - DIE AISSAWA (2013), BOUIA OMAR - BÄNDIGER DER DÄMONEN (2013), DIE HALQA DER SHRIFA AICHA BENBAHA (2013), and the feature documentaries FOR MYSELF AND THE OTHERS (2004), AL HALQA - IN THE STORYTELLER'S CIRCLE (2010), and I AM ANASTASIA (2019).